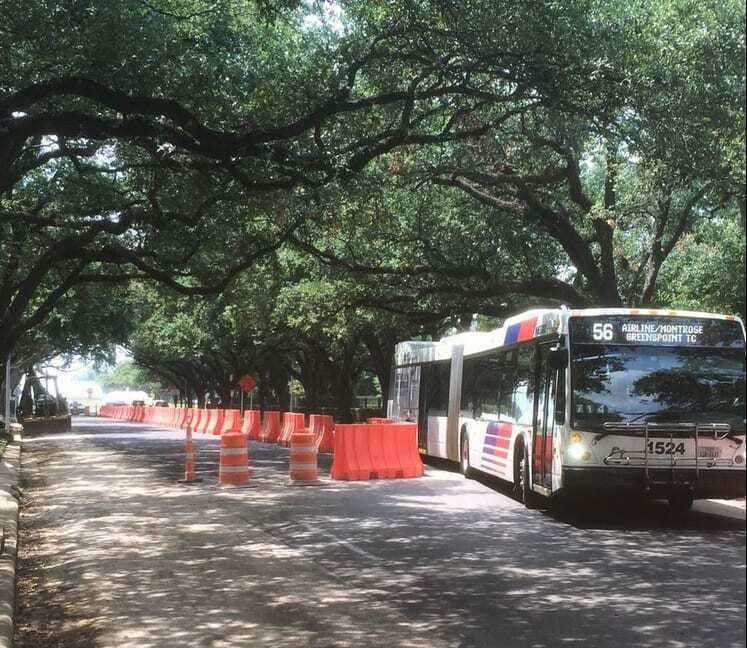 After years of planning, months of aggressive public outreach, weeks of preparation and days of frenzied execution, the Metropolitan Transit Authority of Harris County finally reached its big day. After completing normal Saturday bus schedules at 2am, just a couple of hours later, METRO rolled out the agency’s New Bus Network. The plans were heralded as a triumph by the country’s transit intelligentsia, even before buses hit the ground. But no amount of positive postulation can substitute for action. So today, postulation finally ended, and the New Bus Network began. 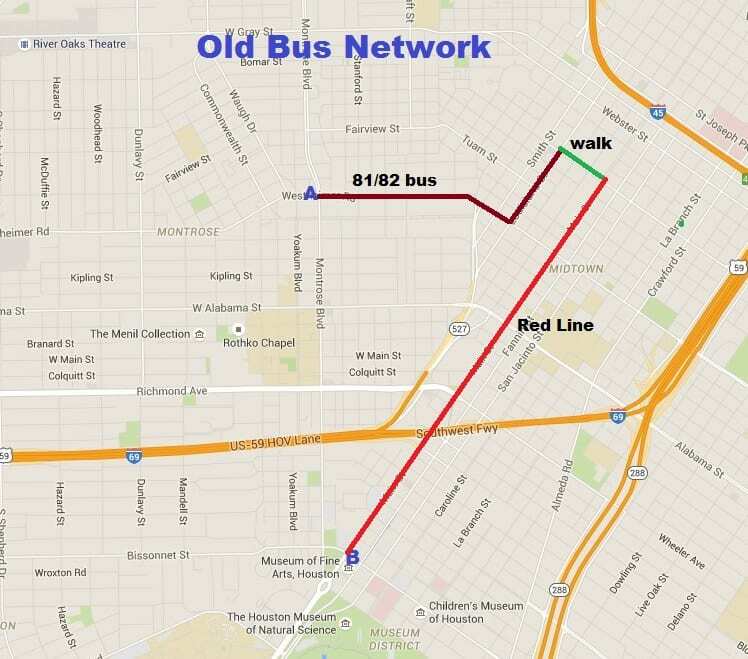 Texas Leftist rode the 56 Airline Montrose this morning to church, and for lunch, and here are the initial impressions. 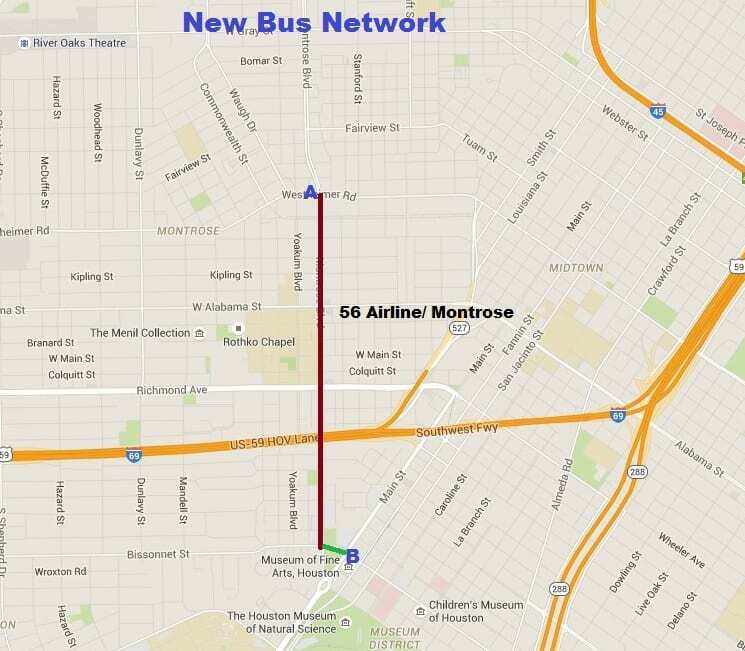 In my neighborhood of Montrose, the Network’s 56 Airline bus is a huge improvement because it connects Montrose to the Museum District, the Heights, Northline Transit Center and Greenspoint. 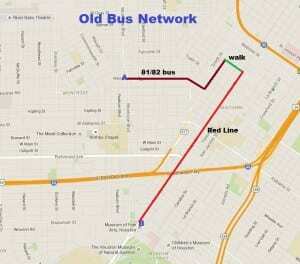 It is a desperately needed north-south route that does not have to detour into downtown like the former network. Via transit, the trip from home to church used to take approximately 45 minutes. I would have to ride the 81 or 82 to downtown, walk over to the train platform, wait to catch the Red Line, then ride it to church. But under the new system, I took the one bus down Montrose, and exit with no transfers. This cuts a 45 minute trip down to 10 minutes if the bus shows up on time. The level of improvement for this trip cannot be understated. After church, I boarded the 56 Airline/ Montrose to get home, but first decided to go for lunch in the Heights at Good Dog Houston. The new bus trip from the Museum District (Montrose at Bissonnet) to the restaurant (Studewood at Bayland) took exactly 10 minutes. 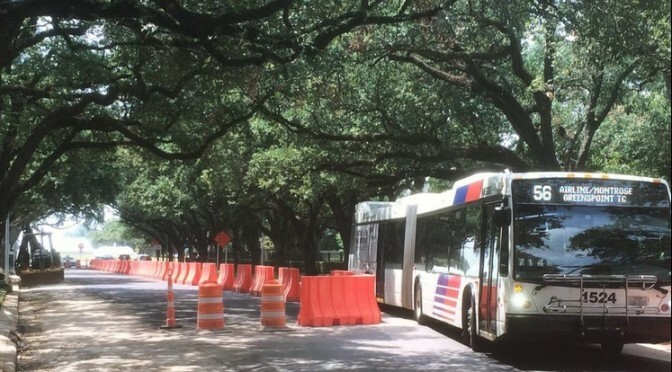 For anyone that has tried to make this connection under the previous transit system, the New Bus Network indeed represents a new day. The freedom of being able to travel from one part of town to another just for lunch, and not have to plan one’s life around a limited bus schedule is definitely new to most Houstonians, and most welcome. My meal at Good Dog by the way?? EXCELLENT. Of course there are many more tests ahead, like the start of tomorrow’s work week. We’re far from being able to declare the Network’s implementation a success. August 16th, 2015 is an historic day for public transit in the city of Houston, and well beyond. As the nation and the world watches the Bayou City pave a new path for the 21st century, Texas Leftist is glad to have a front seat. But still behind the line of the bus driver. 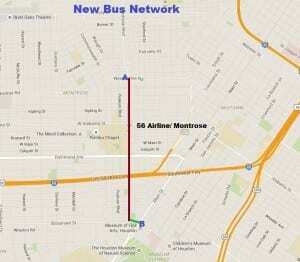 The 56 Airline/ Montrose is one of the Frequent Routes in METRO’s New Bus Network.